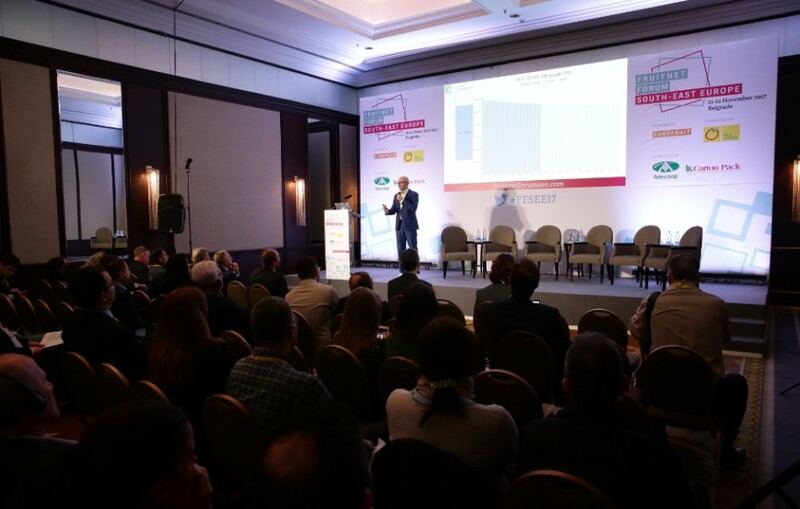 Experts from the international fresh produce trade will be in Belgrade later this month to share their extensive knowledge of the industry with those attending Fruitnet Forum South-East Europe. The event, which takes place at the Hyatt Regency hotel on 20-22 November, brings together major international buyers and leading producer-exporters to explore new opportunities for sourcing fresh fruit and vegetables from the region. Taking part in this year’s conference programme are some key names in the business, including Total Produce, Greenyard, Eurogroup/Rewe, Norton Folgate (part of the Poupart group), Cool Fresh International, GlobalGAP, European Berry Growers and Pureberry Fruits Rouge. Delegates attending the event will have the chance to learn about a range of relevant topics, including consumer trends that are placing greater demands on retailers to improve their offer and present it through new and more innovative channels. With the fresh produce business under increasing pressure to deliver greater value in areas such as convenience, organics, variety and taste, Fruitnet Forum South-East Europe will analyse the latest market trends from a South-East European perspective. The event will also look more closely at how suppliers and marketers can boost demand for their products, improve their supply chains and provide customers with a better experience. “Being back in Belgrade for a third year running and having the chance to sustain our connection with the fresh fruit and vegetable business here in south-east Europe is extremely gratifying,” commented Mike Knowles, editorial director for Europe at Fruitnet Media International.